Were it not for the name Suomi Road, there would be no hint that such a strange-named (for rural South Georgia) place ever existed. The origins of the name are lost to history, but John Goff (Placenames of Georgia, UGA Press, Athens, 2007) proposed that it was likely settled in the 1870s or 1880s when the lumber industry and the Dodge Land Wars were in full swing. It’s located very close to Normandale, a historical community that was the epicenter of the Dodge Lumber operations. Goff guesses that another mill may have been located here and that a railroad siding or station was probably given the name Suomi (in honor of the Finnish word for Finland) by Finnish lumbermen who may have been working in the area. They were most certainly transient workers as Goff posited no evidence of Finnish surnames in the area. The area has a Chauncey address today. Jerry Jarrard writes: Suomi was a rail stop in Dodge Co. Ga. I remember when Grandpa took down the Suomi sign and put it in the barn. He owned what had been a hotel for the Finnish lumbermen. It sat behind the rail stop. It has since burned. In those days there was a country store beside the Suomi sight. it may have been named Weeks store. A weeks family lived two houses to the right of the old hotel The platform for the rail stop was a concrete pad, which is probably still there. Suomi was a rail stop in Dodge Co. Ga. I remember when Grandpa took down the Suomi sign and put it in the barn. He owned what had been a hotel for the Finish lumbermen. It sat behind the rail stop. It has since burned. In those days there was a country store beside the Suomi sight. it may have been named Weeks store. A weeks family lived two houses to the right of the old hotel The platform for the rail stop was a concrete pad, which is probably still there. This is very interesting, considering I have genealogical ties to Dodge County, we reunioned at Jay Bird Springs, and I have traces of Finnish in my DNA. I also find it ironic because I lived in Finland for a year and a half many many years ago, so I knew from the title what Suomi was! My G-Mother Ran A Store In The Late 1930’s.Her Name Was Laura Dowdy. If Anyone Knew Her, I Would Love To Hear From Them. Also Pictures Would Be Great! Thanks. Laura Kirkis Finch, Eastman,Ga. This looks like the road near where my parents and grandparents lived. Brian, my grandparents owned a farm in Suomi in the early 1930’s and 40’s. This is where my father grew up. The large house you have featured in this posting resembles their home. It was at the intersection of Jay Bird Springs road in Suomi. Do you have more info as to where this house is actually located as it is possible that it was their home. I really enjoy viewing you pictures and imagining how it was in those times. That’s where this is, Brenda. It could be the house. It’s on the corner of Jay Bird Springs and Suomi Road. It’s called Suomi because it was an old logging road founded by people of Finland, hence the Suomi (what the natives often call it). 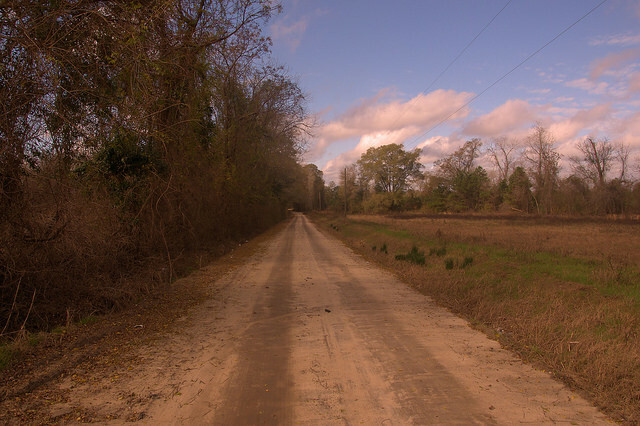 HI BRIAN, I REALLY LIKE THE PHOTOS OF THESE OLD DIRT ROADS. SOUTH GA. PARTICULARLY HAS MORE THAN ITS SHARE, BUT SOME SEEM MORE APPROPRIATE THERE THAN OTHERS. THIS ONE STRIKES ME AS SUCH. JUST LOOKING AT THE PHOTO, IT BECKONS TO YOU TO COME TRAVEL AND SEE WHAT YOU MIGHT SEE!